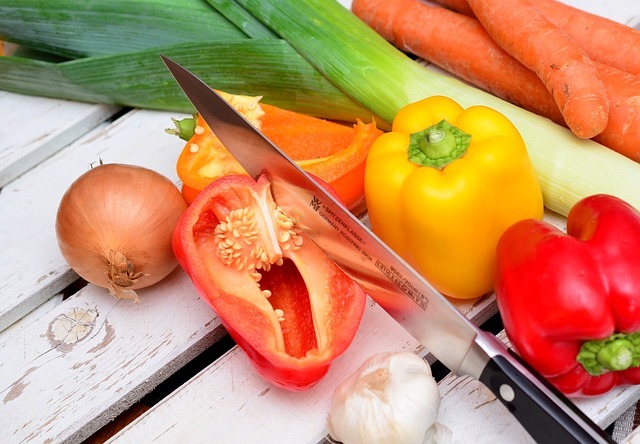 Good Gracious Catering | Are your kitchen knives sharp enough? Probably… but how can you tell? Are your kitchen knives sharp enough? Probably… but how can you tell? Try slicing a sheet of paper with your knife. If the knife cuts through the paper easily, it’s sharp. If the knife stops at the paper’s edge and doesn’t cut through, it’s dull. An alternative method some chefs use to determine a knife’s edge is to cut through their arm hair. As safe as that sounds, we’d rather stick to the paper method. For a full visual demonstration of the technique (no, not the hairy situation), watch this video from America’s Test Kitchen. If your knife does need sharpening, get yourself a whetstone, and in between sharpenings, use your knife honer to keep the blade aligned.